There are some fantastic weekly photo challenges to get your creative juices flowing – Travel Theme, Sunday Post, Weekly Image of Life and, of course, the Weekly Photo Challenge, to name but a few. 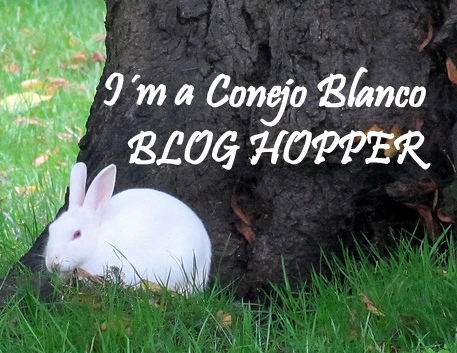 My monthly photo challenge, the CONEJO BLANCO BLOG HOP (conejo blanco means white rabbit, in Spanish) also introduces the element of sharing links. On the first day of each month, I will provide a theme to inspire you to post your own interpretation. Create your own blog post before the end of the month and entitle it “CBBH Photo Challenge: (subject of the month)”, providing a link to this blog so I´ll know you´re participating, and others can find it, too. The difference between this and other photo challenges is that at the end of your post, you should introduce two links to any other blogs you have visited and, most importantly, that you have commented on, during the past month. These links might be to someone who you are in regular contact with via your blog, a new blogger in need of some followers, or maybe a person who inspires or motivates you with their writing or photographs. By choosing to participate, you also agree to read and comment on at least two other blogs taking part in the CBBH Photo Challenge. That way, when we visit each other, we can HOP OVER to your links, connect with others and share a little blog love around! Don´t forget to tag your entry ‘CBBH Photo Challenge’, and follow this blog, East of Málaga, so you never miss out on the monthly CBBH Photo Challenge announcement. You can sign up via the “follow me” link in the sidebar. If you find your blog featured anywhere as a link, you will be entitled to grab the CONEJO BLANCO BLOG HOP Featured Me! BUTTON to display in your sidebar. Hi Marianne, quick `hi´ after our press club chat, nice clean website, congrats. This is a fabulous idea! I hope to join in soon! I’m in! Thanks for your invitation! I will post by this weekend! Pingback: CBBH Photo Challenge: LOOKING DOWN | East of Málaga .... and more! Yes, Spain does Ancient and Modern so well, doesn’t it Rachel. Love the photos, Debbie. Russia is somewhere I keep meaning to get to, but haven’t managed it yet! I’ve taken the liberty of changing the link to your post, as it didn’t take me to your CBBH post for this month. It does now! I was excited to see your photos as I have visited this area and stood beside Sir Edmund Hilary’s statue. It was a lovely memory for me. Thanks for sharing links to two blogs you enjoy. Thanks for the correction Marianne, and sorry I stuffed it up!! Glad you didn’t, Sonel, because then I get to share your fantastic cameras and those old floppy disks!! i agree with Sonel…busy bloggers missing things right in front of us. ☺ i am thankful also for your link. Gorgeous photos, Tom – just love that bridge! This is a lovely challenge!! Looking forward to taking part in it! You’ll have to be quick then, because next month’s challenge starts on Saturday! Hope you get the chance – otherwise have a look at the next one! Thanks….yeah might have to start with next months challenge. Could you ask people to use a tag, e.g. CBBH? If everyone uses the a tag, it’s much easier to scroll through in the reader, and be drawn in. You will find quite a few entries under the CBBH Photo Challenge tag. Excellent entry for this month’s challenge, Mr Duck. Thanks for links to two blogs you enjoy. Pingback: CBBH Photo Challenge … VIEW FROM AN AIRCRAFT | Ouch!! My back hurts!! Thanks for letting me know you like it! Wow such a good idea! I think I will try the February one. How do we find other peoples blogs who are taking part? OK, here’s how it works – You have responded to this page which is on a permanent tab on my blog. This is just the background information to how the CBBH monthly challenge works. On the 1st of each month I post the new challenge which appears on the HOME page of my blog. The MAIN difference between this and other challenges is that you should share links to two blogs that you enjoy and that you have commented on during the past month. That way, we can all visit your featured blogs to share a little blog love around. How does that sound, Lou? Here is my blue for November! I especially love the material you have sewn together for your quilting and the tag on your dog´s collar. Lovely! What a lovely entry, Gilly, which you have done perfectly. What artistic children they are! This sounds like a great idea. Next to writing, photography is my thing and has been since I was 6 years old! I found you through MegTraveling’s excellent site. Well, it´s lovely that you dropped by, Patricia. Hope you will join in the fun! Hola Ana! I´m so pleased that you decided to join in this month. You certainly have done some travelling, haven´t you? I particularly love the window of the rural architecture in Carlos Keen, Argentina, with the lovely reflection through the window. Your links lead to two ladies whose blogs are well worth linking to – thanks for featuring them, Ana. What a lovely entry for this month´s challenge, Jennifer. Such a fascinating insight into the history of Hawaii and the stunning colours in the flowers and the canoe races! Of all your photographs, the one that captures my imagination the most is The Hawaii Lantern Floating festival – what a sight that must be to see! I’m a late entry for August photo challenge..
How do I add the widget to my blog!!!! No, you´re not late, Lisa – you are just in the nick of time! 1) First, right click on the photo you want, and save it to your computer. There are a choice of three images on the page above. 2) On your Dashboard, click Media – Add New, then upload the picture from your computer to your Media Library. When it has uploaded, click Edit then scroll down to File URL and highlight the address, right click and copy it. 3) Next, on your Dashboard go to Appearance – Widgets. Under ‘Available Widgets’, scroll down until you see one entitled ‘Image’. Left click on it, keep the left click held down and drag it across to the primary widget/sidebar area in the top right, and let go of the left click to drop it there. 4) In the Image widget box, left click on the text bar for Image URL then right click and paste the link you copied from your Media Library. 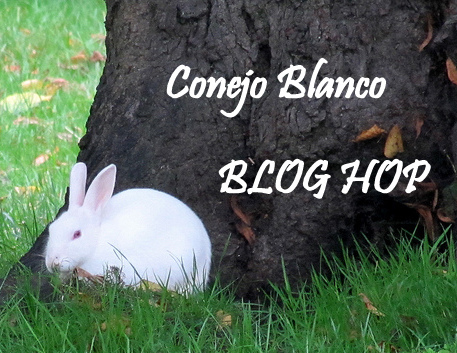 5) At the bottom of the Image widget box, where it says ‘Link URL (when the image is clicked)’, add https://eastofmalaga.wordpress.com/conejo-blanco/ to link it back to here. 8) Have a look at it by clicking on your Homepage and looking in your Sidebar. 9) If the picture/button isn’t the right size for your blog, go back to the Image widget and adjust the numbers in the Width and Height boxes – increase or decrease them gradually to get it to look the way you want it to. I find that 260 x 219 is usually a good starting point. 10) If you want to move the picture up or down in your sidebar, go back to Widgets, left click to pick it up and drag it up or down inside the primary widget area box, until it´s where you want it – then let go of the left mouse button and drop it. Some blog themes have extra areas to display widgets. Play around with the widgets and the widget areas on your blog – you won’t do any damage to your layout, if you don’t like a widget just drag it off and discard it in the Inactive Widget section. I know these instructions might look a bit complicated, but once you’ve done it once or twice it’s easy. If you need any further help, just give me a shout! I just this very interesting way to showcase the photo’s of others. Will have to consider particiapting, as much as I can. Just signed up for your updates. A very cever idea. I´m glad you think so and thanks for taking the trouble to comment, Isadora. Glad you enjoyed your visit and for the follow. Paula´s place is just great, isn´t it? This is an awesome idea! It feels like the Matrix! I’m sure I’d already commented on this but I seem to have disappeared! I misunderstood the focus of the CB BH and thought it was about writing. But now I’ve understood I’m going to wait till I’m back in Spain next Tuesday before setting out on a nice long walk to take an upwards-looking photo! Look forward to seeing your photo(s) and links! First of all, your featured links can be to any other bloggers at all – where you have left a comment during the previous month. It´s just a way of introducing new blogs to each other. There is no requirement for those links to be taking part in the challenge. A link back to my blog at East of Malaga wouldn´t be made if you just titled your post CBBH Challenge: Looking Up – so please include a clickable link back, so that other people can find the challenge. Pero mi widget ya esta alla ;), debajo de mis fotos en el fondo de la pagina, me parecia justo si ya tengo lo del postaday y de sunday post…ademas me traera buena suerte ;). Gracias Marianne…. Te visitare pronto… Todo entendido. Saludos! Muy bien, Paula y buena suerte! I think it is a great idea…I like that it is monthly as well…gives you time to come up with images and there isn’t too much pressure to get it done quick. I hope lots join in. Thanks Jo, that´s what I figured. It struck me that the whole purpose of the “Blog Awards” system or “tagging” people – with their rules expecting recipients to “nominate” others – really boiled down to producing and providing links between our own blogs and those of others. I figured the CBBH Challenge would be a good way of introducing new blogs to each other, (a kind of “Blog Cocktail Party”, if you like), with the chance to comment and follow, but without the necessity of having to rack your brains to think of “25 fabulous moments in my life”; “what piece of advice I would retrospectively give to my teenage self”; “which celebrity I had a crush on” or “why I think I´m on this Earth”. (No disrespect intended to any awards/tags that demand answers to such questions). I want my blog to be about what I have chosen it to be about – East of Málaga – not to be distracted by answering questions about random and irrelevant subjects. After all, if people want to know about me, they can read my “About Me” page. This way, I can link to other blogs, yet still gear each of the Photo Challenges to fit in with my blog theme.